My flight out of Germany was scheduled to be from Düsseldorf and that meant I was looking for a place to stay while in the city. Since there was not much thing that would interest me in the city, I chose to spend more time in Frankfurt before heading to Düsseldorf. 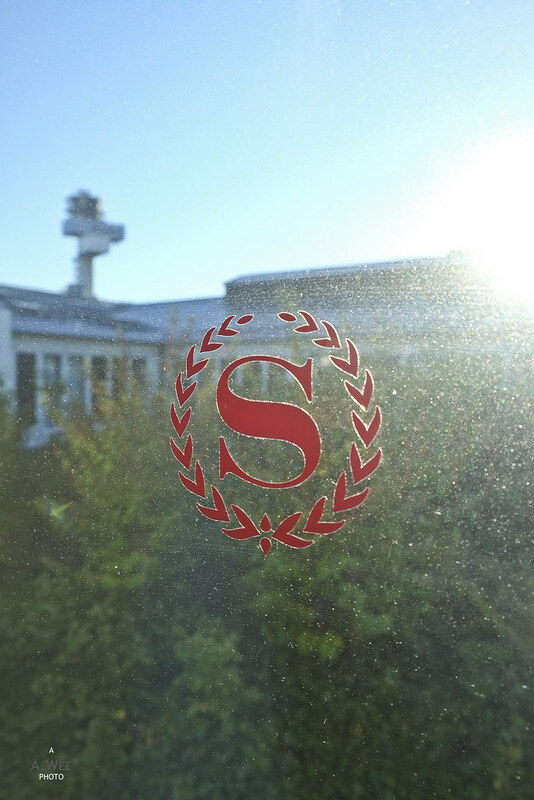 As luck would have it, SPG has a Sheraton in town and right in the airport. 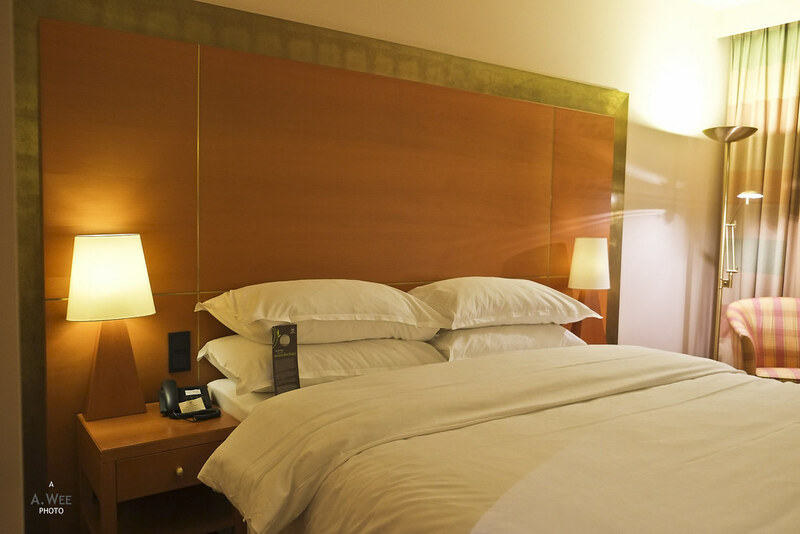 If there was one thing that Sheratons are good for, it is airport hotels. The Sheraton Gateway in Toronto and Los Angeles are pretty good hotels to stay in a layover so I was keen to try out this one too. This also meant I could drop off the rental car the night before and head to the hotel to check-in. 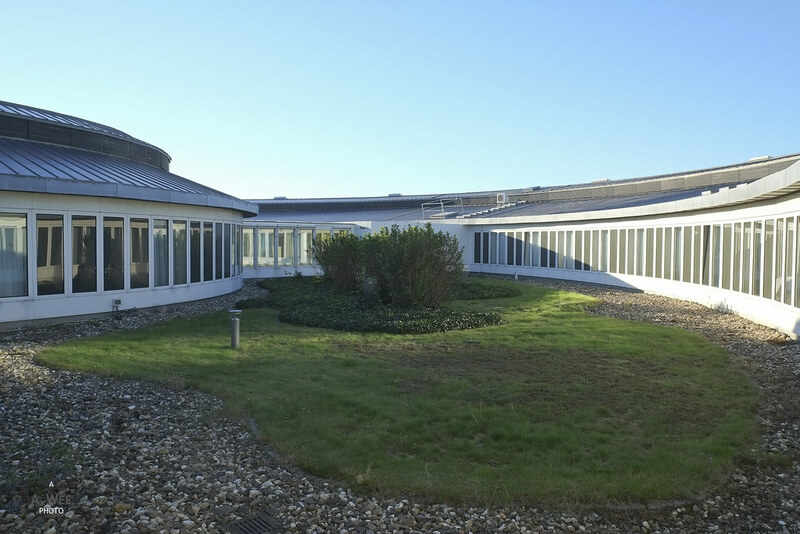 The hotel also has a great location connected to the main terminal which is via a walkway. Just like the Sheraton in Toronto Pearson. 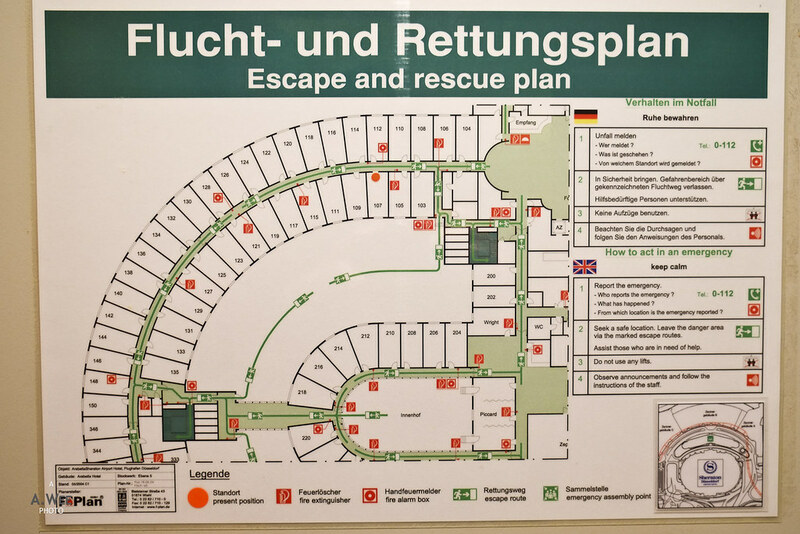 There is also a direct elevator from the car park right to the hotel lobby, and the signs in the parking lot is easy to find. 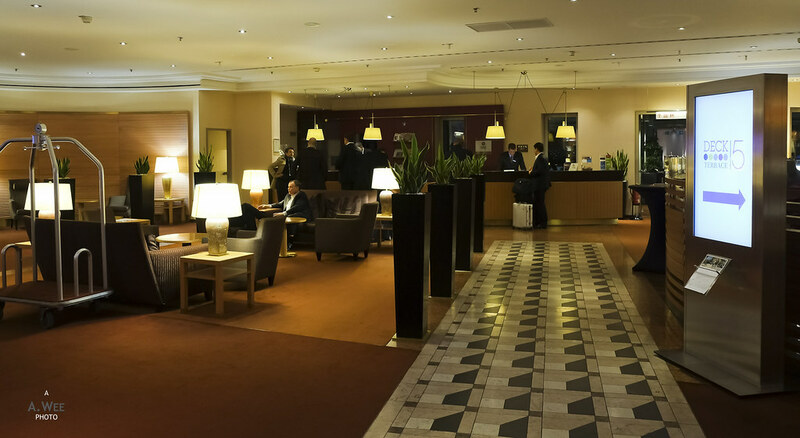 Arriving at night, the lobby was still quite vibrant as I find the case to be with most airport hotels. Those with that overnight layover do not really have a choice for alternative entertainment do they? There was the usual German efficiency as in not much pleasantries but direct to the point when checking in. I was given my room key quickly and shown the direction for the room. Fortunately for me, the room assigned for me was quite close to the lobby itself. The layout of the hotel is such that it was an elliptical shape with rooms all around a central courtyard with the lobby and bar/lounge at the centre. Having a room at the end of the ellipse meant a long walk around the perimeter of the hotel. Another tip is to ask for rooms facing the inner courtyard for a quieter atmosphere. The room I was assigned was probably the one I booked but arriving late and with a late morning flight, that does not matter anyway. 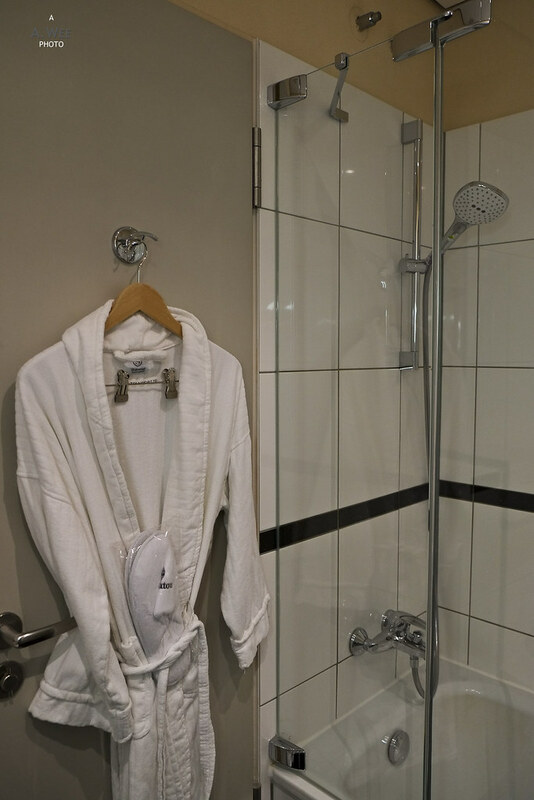 The bathroom is on the left of the entrance and it is quite small in size compared to the other Sheratons. There is a combined bathtub and shower system in the room with the glass partition, so in that sense it made the small bathroom feels less claustrophobic. The small size of the bathroom extends to a similarly petite sized room. It was definitely not the spacious room and had no room for an extra bed. However the room was nicely appointed and feels more modern than my previous encounter with the Sheraton Offenbach. As always the 2 single beds here are joined together to form a double bed. This has probably got to do with the space constraint as well. 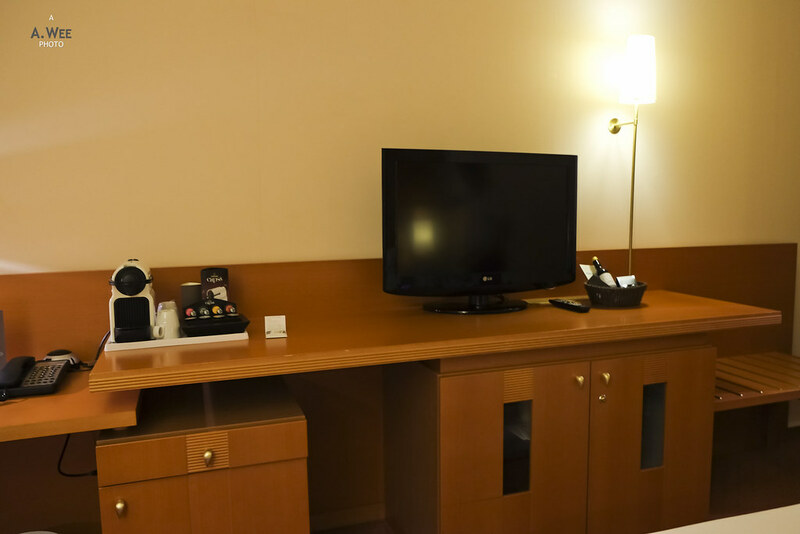 An interesting feature in the room was the Nespresso machine found on the TV console that also forms the work desk. 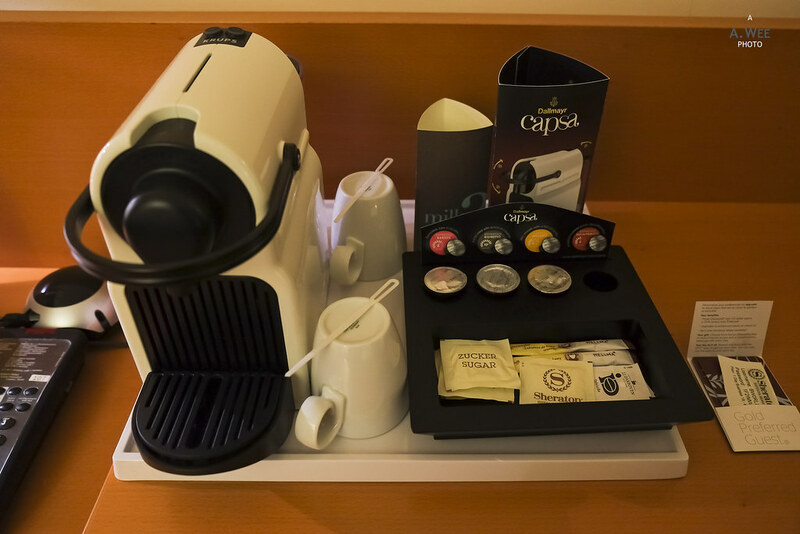 However while the hotel found the budget to supply the machine, it did not have the dough to supply the correct capsules. Instead there was some third party capsules which does not seem to taste as good as the Nespresso ones. Other furnishings in the room includes a luggage rack beside the TV console, an armchair and a side table by the window. 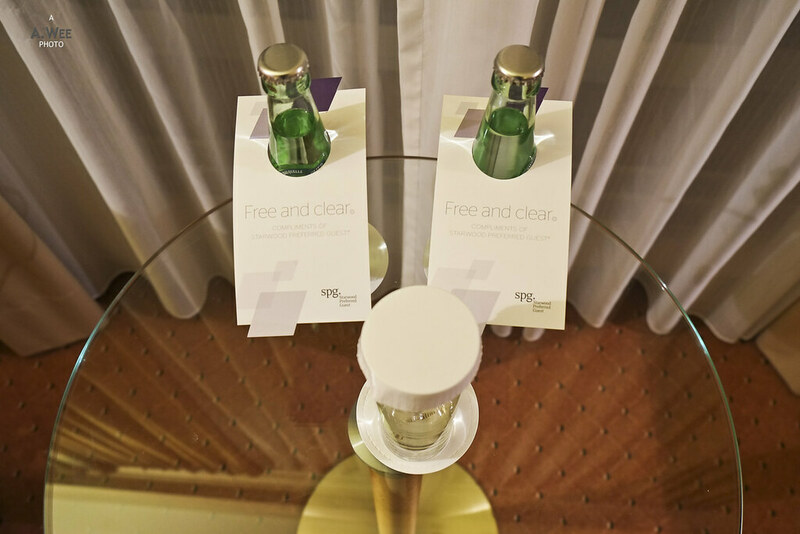 On the small side table, there was also 2 bottles of water ready for SPG members, which is something I have taken for granted nowadays. Our room faces the centre courtyard which in my opinion is quieter and has a nice view of the greenery too, making it sort of peaceful in the busy and hectic surroundings of an airport. For an airport hotel, they are quite well equipped. 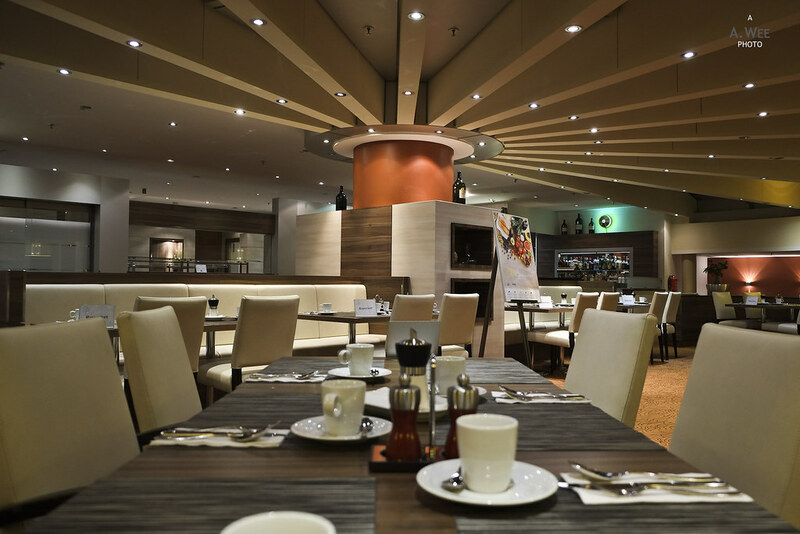 There is a full restaurant located at the ends of the hotel, which serves breakfast, lunch and dinner. I did not have a meal there as we arrived past dinner time and we had breakfast at the lounge in the airport instead. Like most Sheratons, there is also a Club lounge which I did not get to access. 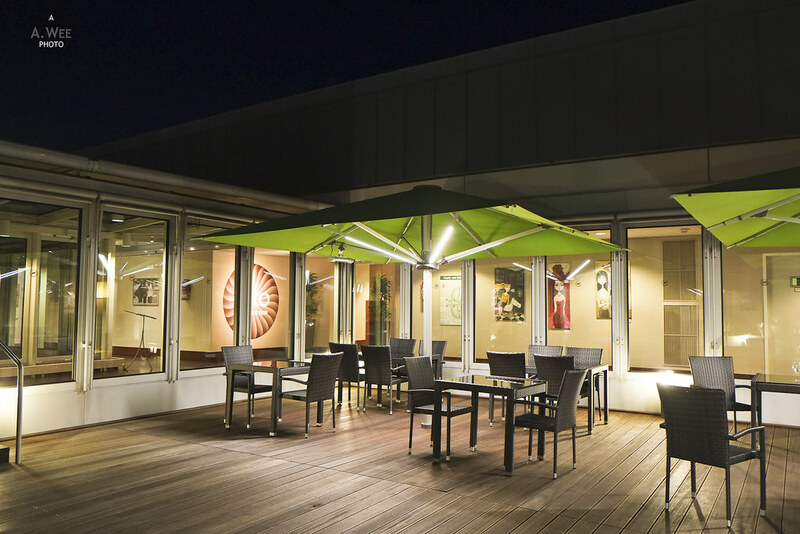 However there is a neat outdoor patio that guests can use to smoke or just to soak in the night skies. 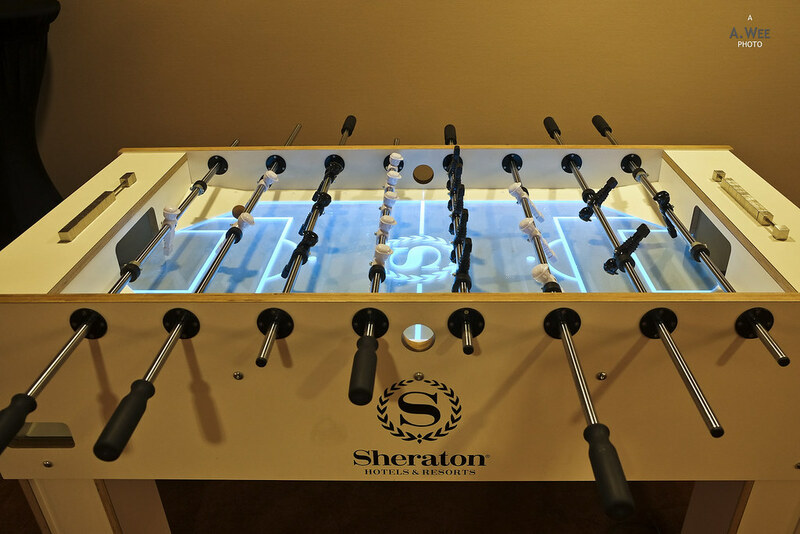 Another interesting feature I discovered while walking around the hotel was a foosball machine that ought to keep guests entertained since airport hotels can get quite boring at night! 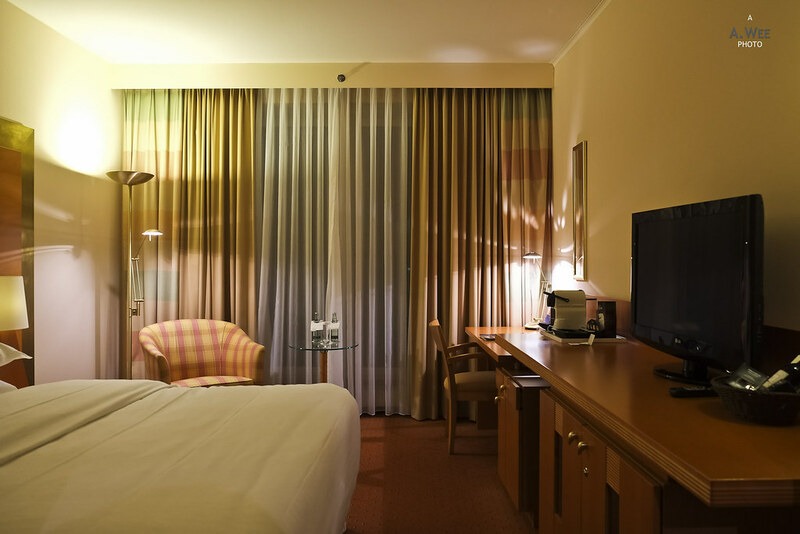 With the rate of EUR160 (~$155) inclusive of taxes, the hotel stay was not particularly cheap and once again proves that airport hotels are quite expensive. However the hotel was really nice being located on-site just a walk away from the main terminal. I was able to just check-out and walk to the terminal for my onward departure the next day. 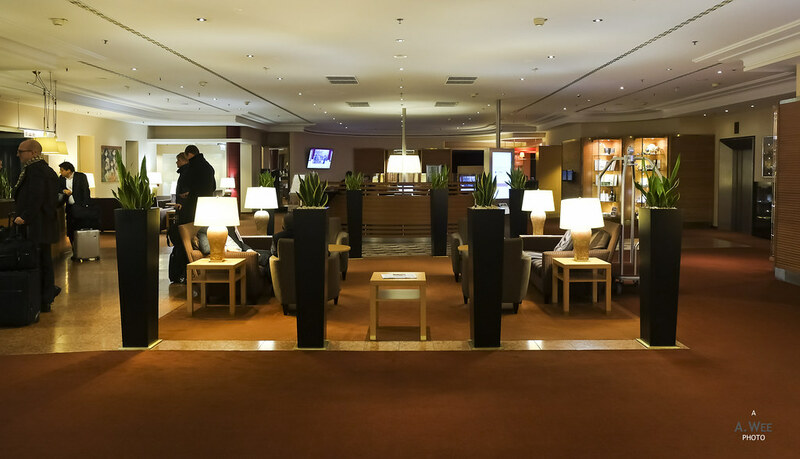 If anyone ever gets trapped in Düsseldorf airport for the night and need a place to crash, they could not have found a better spot than the Sheraton! Yes, it’s not a great price, but savings from the convenience of being able to drop off my car and walking to the terminal made it easier to stomach.